The Sauk-Suiattle Indian Tribe conducts annual surveys of amphibian egg masses in the Reservation Slough wetland near the Sauk River. The surveys began in 2007 with support from the Environmental Protection Agency. They are conducted weekly from late February to late May and aim to assess changes in amphibian populations, as well as water and habitat quality. The 5.5-acre survey area is ranked as a Category I wetland, defined by the Department of Ecology as wetlands that are a unique or rare type, are more sensitive to disturbance, contain ecological attributes that are irreplaceable, or provide a high level of functions. 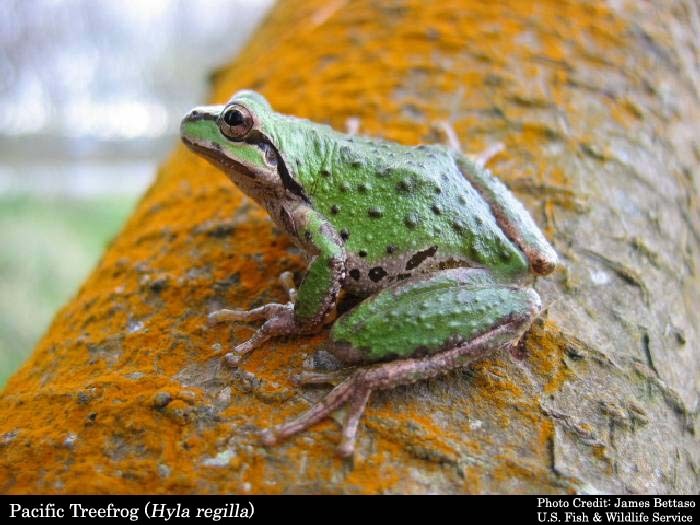 Commonly noted species include Pacific tree frogs (Hyla regilla), red-legged frogs (Rana aurora), and northwestern salamanders (Ambystoma gracile). Read more about the Sauk-Suiattle Indian Tribe.